Developed for dogs and cats to reduce stress-related behaviour. 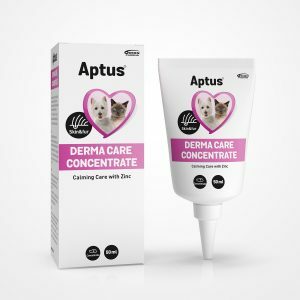 We recommend it for veterinarian or grooming visits, travelling or moving, thunderstorms, fireworks and parties, separation anxiety issues, introducing new family members, with more. Chews can be given as treats or as part of meal. Give 30 minutes prior to times of increased stress. Can be used daily or as needed. The dose can be doubled in stressful situations. 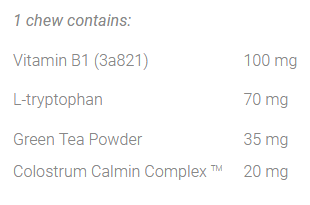 Oat flour, brewers’ yeast, chicken liver flavour, glycerin, safflower oil, sunflower lecithin, cellulose, sweet potato, maltodextrin, sodium alginate, calcium sulphate, water, green tea powder (Camellia Sinensis) (2%), Colostrum Calming Complex TM (1%), citrus pectin. 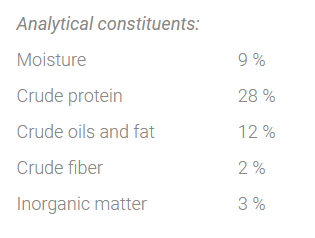 Antioxidants (propionic acid, natural tocopherols), preservatives (sorbic acid). When pets can’t adapt to stress, it can lead to restlessness, excessive panting, trembling, salivation, and destructive or aggressive behaviour. 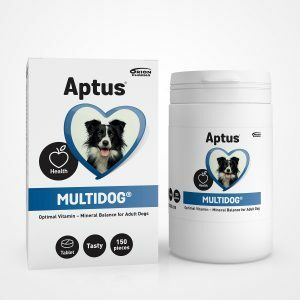 The 4-in-1 combination of active ingredients in Aptus Relax support relaxation without changing your pet’s personality, and without causing drowsiness. 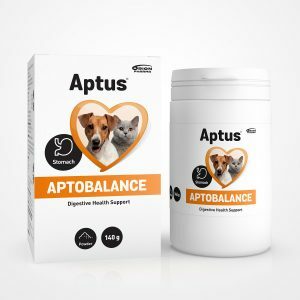 Colostrum Calming Complex® Biopeptide Blend is a patented mixture of bioactive proteins with proven calming properties. Green Tea Powder / L-Theanine supports stress reduction and relaxation. L-Tryptophan support restfulness and normal sleep. Thiamine (Vitamin B1) helps calm anxious animals. 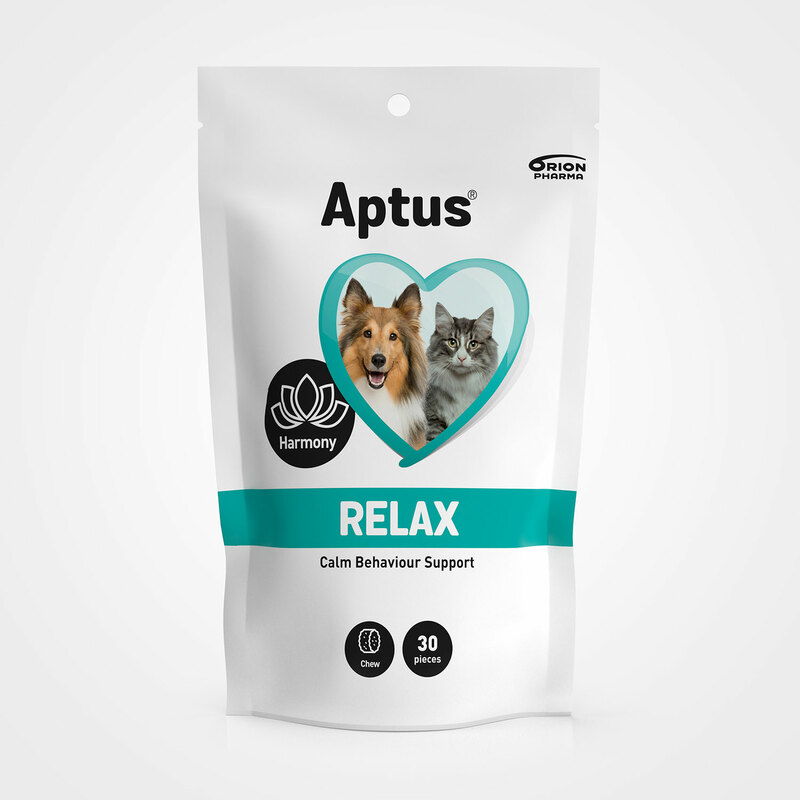 Relax supports calm and balanced behaviour naturally and helps your pet get through stressful situations. For example, it can be recommended for vet or grooming visits, separation anxiety, travelling or moving, introducing a new family member, thunderstorms, fireworks, and parties.